Formed in 1995, the Miró Quartet is consistently praised for their deeply musical interpretations, exciting performances, & thoughtful programming. Based in Austin, TX, and thriving on the area’s storied music scene, the Miró takes pride in finding new ways to communicate with audiences of all backgrounds while honoring the longstanding tradition of chamber music Featured as the guest ensemble for Chamber Music in Oklahoma’s second concert this season, the Quartet appearing on Sunday, November 19th at Christ the King Catholic Church in Oklahoma City, and offering the Quartet in E-flat Major, Op 71, No. 3 by Franz Joseph Haydn, the Quartet in a minor, Op 41, No. 1 by Robert Schumann and "Credo" written for them by acclaimed Pulitzer Prize winning American composer Kevin Puts. 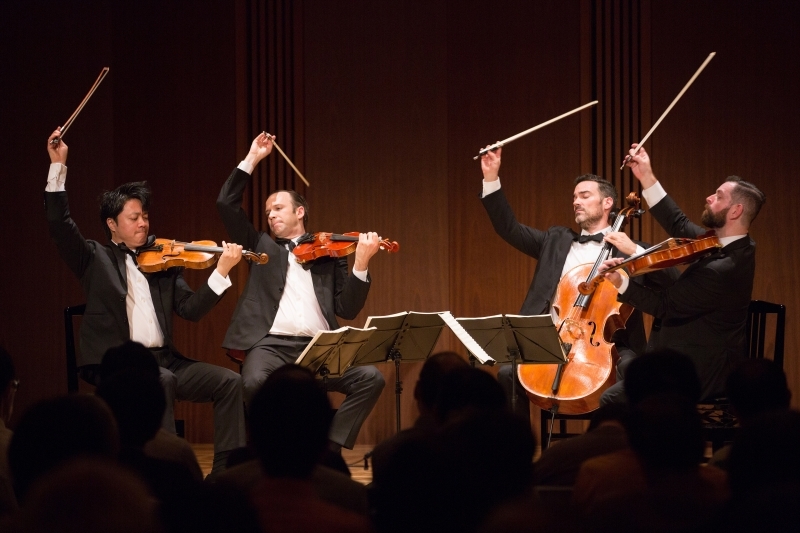 One of the world’s most celebrated and dedicated string quartets, having been labeled by The New Yorker as “furiously committed” and noted by the Cleveland Plain-Dealer for their “exceptional tonal focus and interpretive intensity,” the Miró Quartet has performed throughout the world on the most prestigious concert stages, earning accolades from critics and audiences alike. Deeply committed to music education, members of the Quartet have given master classes at universities and conservatories throughout the world and since 2003 has served as the Faculty Quartet-in-Residence at the University of Texas at Austin’s Sarah and Ernest Butler School of Music.